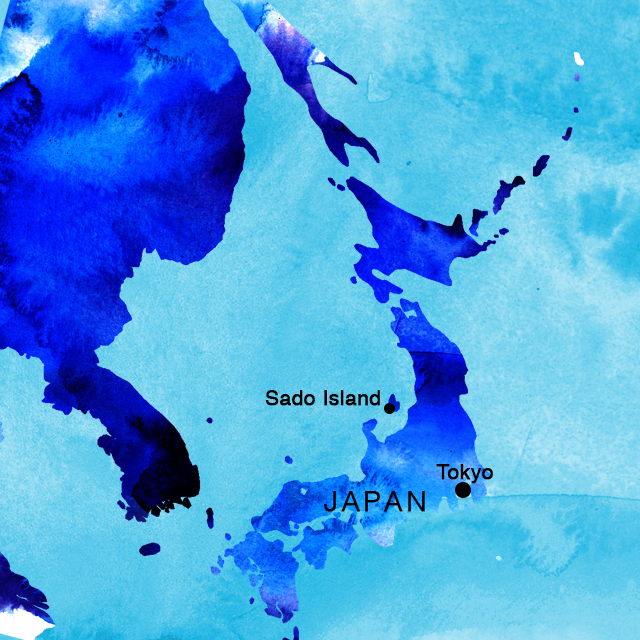 The Japanese are obsessed with the short-lived beauty of these fragile blossoms. They pay to reserve spots in the best parks where they can sit and appreciate their surroundings. The first few days on the tour: bare branches, with buds in various stages of development. Our cameras went berserk every time we found a tree with even a few blooms. But the long wait was over. We came across a gigantic weeping cherry in the grounds of the Jojakkoji Temple in the hills just outside Kyoto. The tree had been bare the day before. Now it was a mass of blossom. And there were even benches provided for you to admire the tree at your leisure. Trees on this southern island are in full bloom but, alas, rain greeted our arrival in the city. 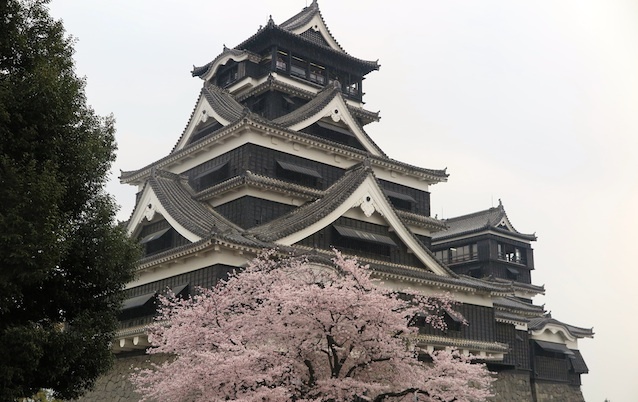 Petals drifted down like snowflakes as we climbed through an avenue of flowering trees towards the imposing 17th century Kumamoto Castle. The effect is magical, and underlines the brevity of this iconic season. 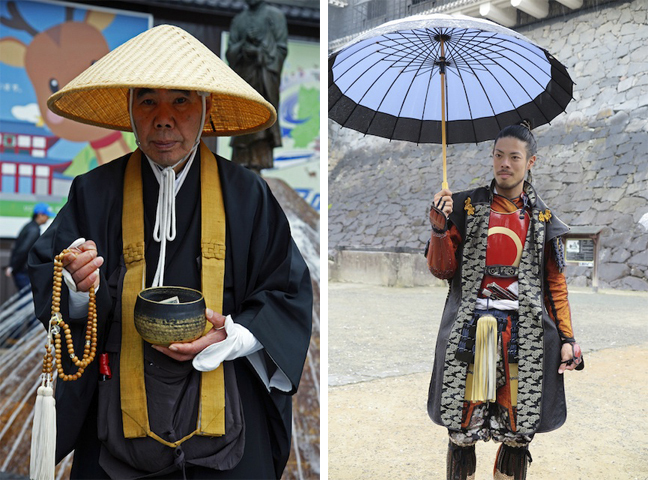 Our four days in Kyoto saw us making full use of the local trains. It’s often quite a hike from the relevant station to our destinations. 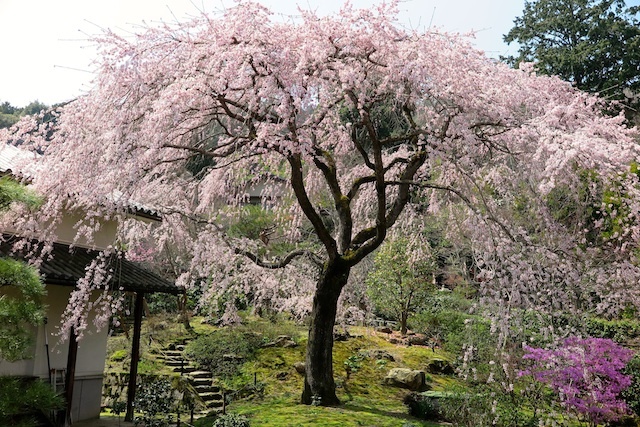 Japan boasts beautiful gardens, often accompanying temples and shrines. These can only be appreciated on foot, and we also walk from one temple to the next. It’s been interesting to return to some of the places I visited last autumn, and see the differences in the seasons. We’ve only had two days of rain, with most days greeting us with brilliant sunshine. 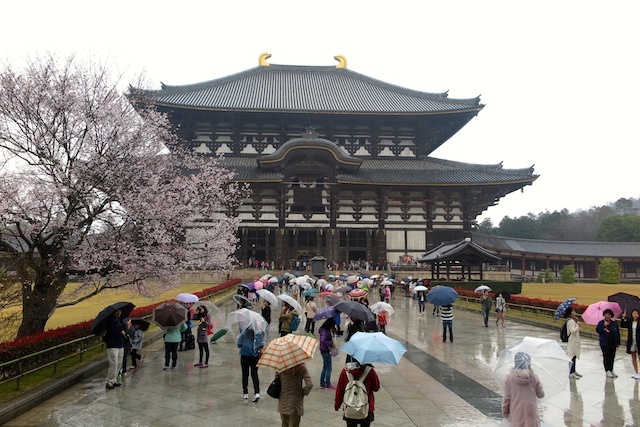 Nara’s Todai-ji Temple looks very different in wet conditions – more mysterious and sombre. It is the world’s largest free standing wooden structure, and houses Japan’s largest Buddha statue. On special occasions they open a door at third storey level so that the Buddha’s face can be seen from the far side of the concourse. 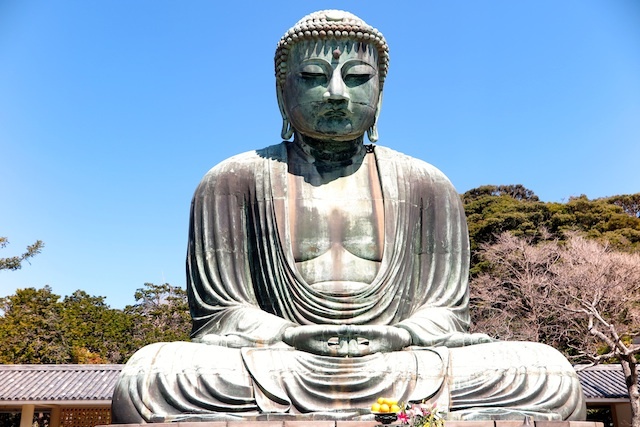 Although Todai-ji’s statue is the biggest, the Great Buddha of Kamakura is not far behind. This enormous statue is open to the weather and has that lovely green patina of old bronze. You can only marvel at the techniques used hundreds of years ago to cast either of the Buddha statues. 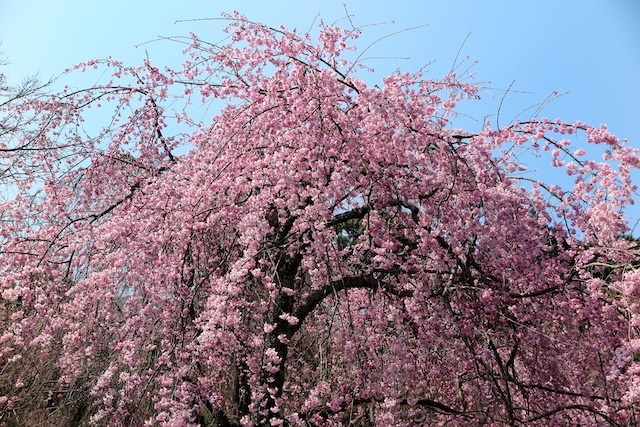 Come to see the stunning blossoms in Spring by joining on of our small group tours of Japan. 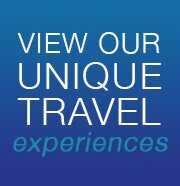 Travel Japan and book your trip with Blue Dot! Click here.